She denied that they where an item but now it seems like Lauren Goodger has confirmed her romance with prison inmate convicted burglar Joey Morrison. The reality star has decided to have his name tattooed on her wrist to mark her love for Joey but sadly she wont be spending Christmas with him because he is currently on a 16-year sentence. Goodger decided to have the tattoo on her right arm to show a symbol of her love for him. Lauren and Joey have both talked about building a life together when he comes out and she has even talked about having his child too. Katie Price Son Harvey Wants Everyone To Have A Musical Christmas! Katie Price’s son Harvey has said that he would like everyone to have a musical christmas as he sat at his piano belting out a tune. Katie filmed her 14-year-old son as he played the piano and uploaded the lovely vid to her Instagram page. At the end of the video Harvey blows a kiss to the camera and wishes everyone a merry Christmas. Aww lets hope they do soon. Michelle Keegan has admitted that she is “always broody” as she talked about baby plans with hubby Mark Wright. Keegan admitted that both her and mark go through stages when they want a baby so basicly like a “phases” but sadly they are not planning on having a bubby yet. It would be so lovely to have a little Mark or Michelle in the world but in their own time. At the moment Scarlett Moffatt is in a large money bidding war between Loose Women and This Morning on ITV who both want her first TV interview after being crowned the winner of I’m A Celebrity … Get Me Out of Here two weeks ago. The Gogglebox star keeps getting large amounts of money thrown at her from both shows to go on and talk about her time in the jungle. It not just that interview as This Morning would like her to present the regular showbiz item on the show and take over from Ferne McCann. ‘This Morning want her for their popular showbiz slots alongside Rylan Clark and last year’s I’m A Celeb runner-up Ferne McCann. They know Scarlett will be hilarious and a hit with viewers. Loose Women are desperate to bag an exclusive deal as they know their audiences will relate to Scarlett as she’s so down to earth. We shall see what show she picks to appear on and if she takes This Morning up on that presenting offer. This is actually so heartbreaking! 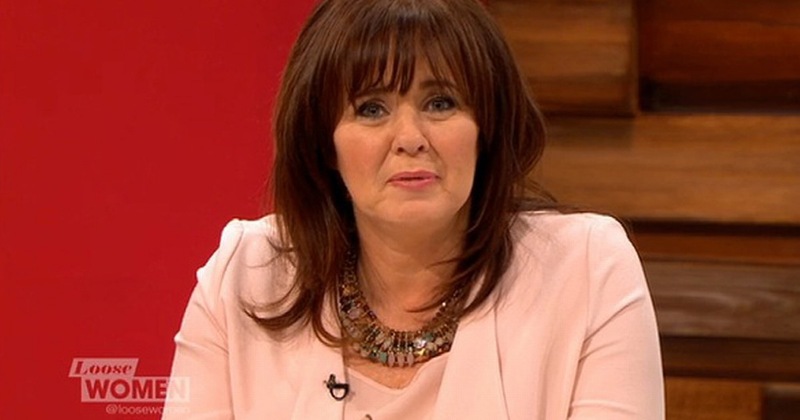 Coleen Nolan has admitted that she had to ask herself if her father loved her or not as a child because he use to sexually abuse her sister Ann Nolan and not her. ‘My eldest sister told me when I was probably in my mid to late 20s that my dad abused her. I felt so upset for her. I couldn’t make my own feelings out all, except I remember crying because he hadn’t done it to me. And then I hated myself. So heartbreaking knowing that she thought that because her sisters was getting this awful attention she wasn’t loved because she wasn’t getting it. She often jokes about how bad her marriage it but now it actually seems like it is that bad as Coleen Nolan has confessed that she has to think about what she wants to do with her 8 year marriage to Ray Fensome. Coleen and Ray have been together for 17 years but only been married for 8 and it seems that there might be though times Ahed for the pair of them. Let’s hope that works so they can get their marriage back on track.